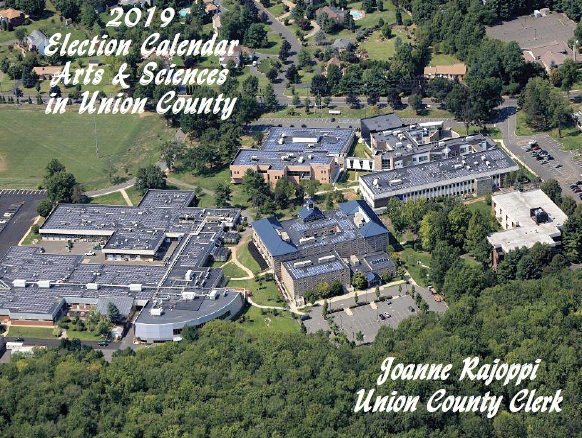 Union County Clerk Joanne Rajoppi reminds people seeking School Board positions in their municipality that the deadline for filing their nominating petitions is Monday, July 31, before 4:00 p.m. in the Office of the Union County Clerk, 2 Broad Street, Room 113, Elizabeth, NJ 07207. 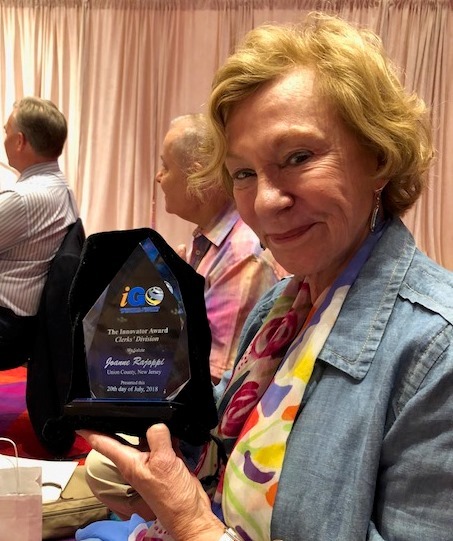 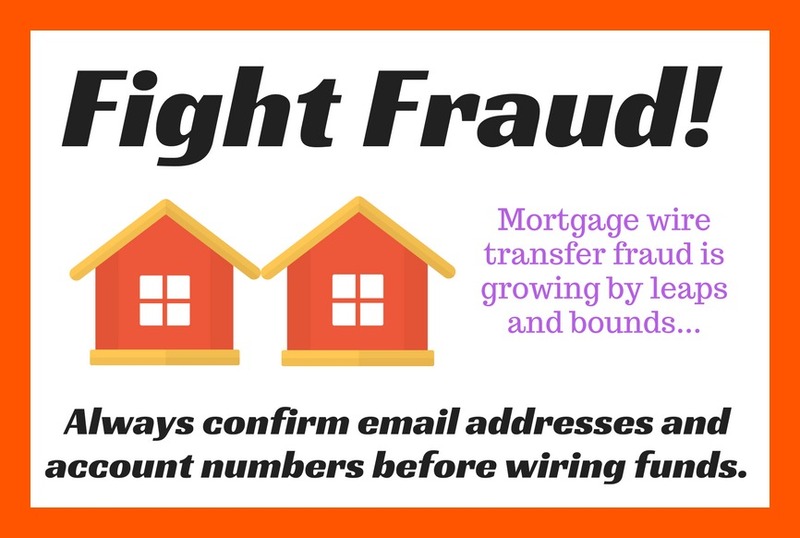 Union County Clerk Joanne Rajoppi alerted Union County residents and businesses to be aware of mortgage wire transfer fraud, a trending fraud victimizing prospective home owners, in which funds are steered from legitimate accounts to unauthorized ones. 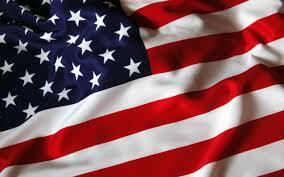 Union County Clerk Joanne Rajoppi advises travelers that the U.S. Department of State has increased its processing time for passports. 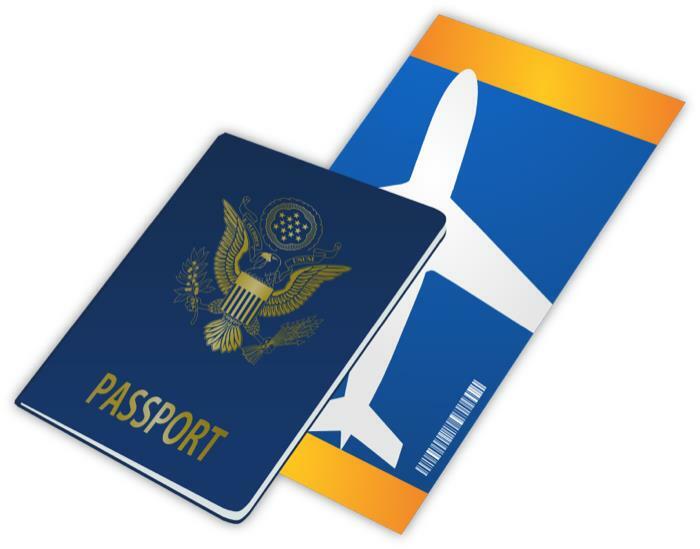 Persons seeking routine passport services should now anticipate a wait of approximately six to eight weeks. 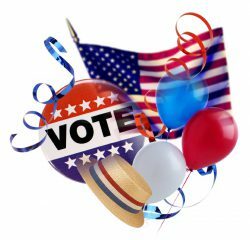 Union County Clerk Joanne Rajoppi announced that the drawing for ballot positions for the June 6, 2017 Primary Election will be held on Monday, April 17th at the County Courthouse, 2 Broad Street in Elizabeth beginning at 3:00 p.m.
Union County Surrogate James LaCorte, Esq. 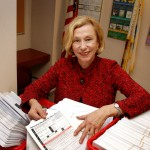 Union County Clerk Joanne Rajoppi reports that revenues for transactions recorded by her office totaled more than $40 million in 2016, the highest since the global financial crash of 2008. 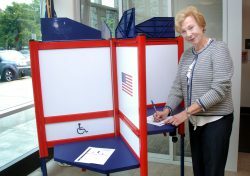 Union County Clerk Joanne Rajoppi reminds voters that the deadline for applying by mail for a Vote by Mail ballot is Tuesday, November 1. 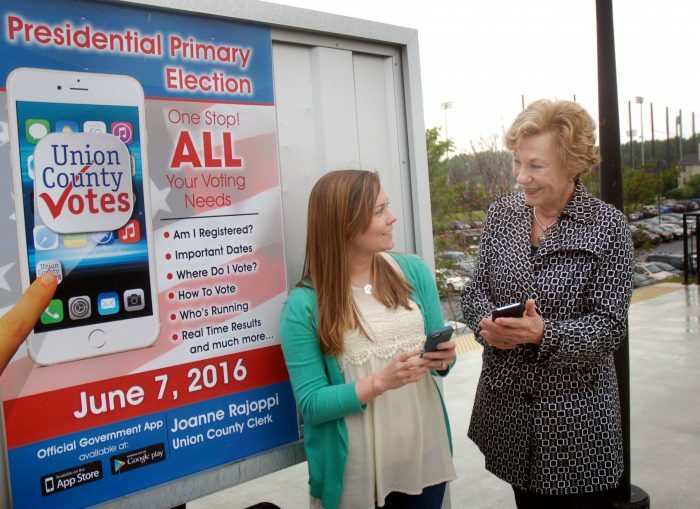 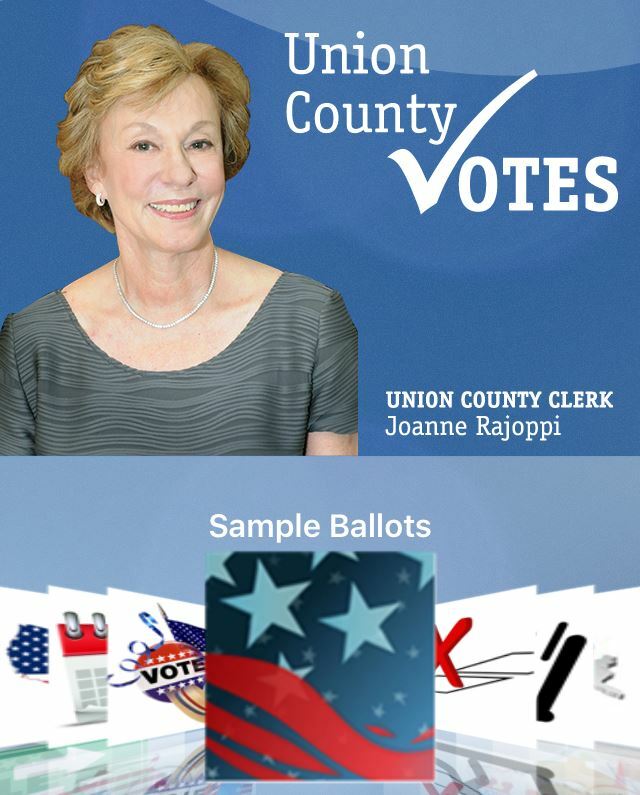 Union County Clerk Joanne Rajoppi reminds voters that sample ballots for all 21 municipalities are now available on the new County Clerk elections website, UnionCountyVotes.com, and on the Union County Votes app, a free download for mobile devices. 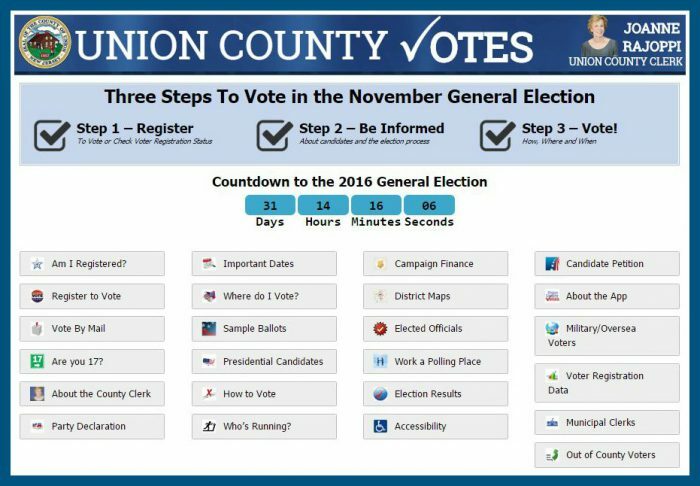 Union County Clerk Joanne Rajoppi is pleased to announce the launch of UnionCountyVotes.com, a new website that provides voters and election followers with complete information on the November 8th General Election. 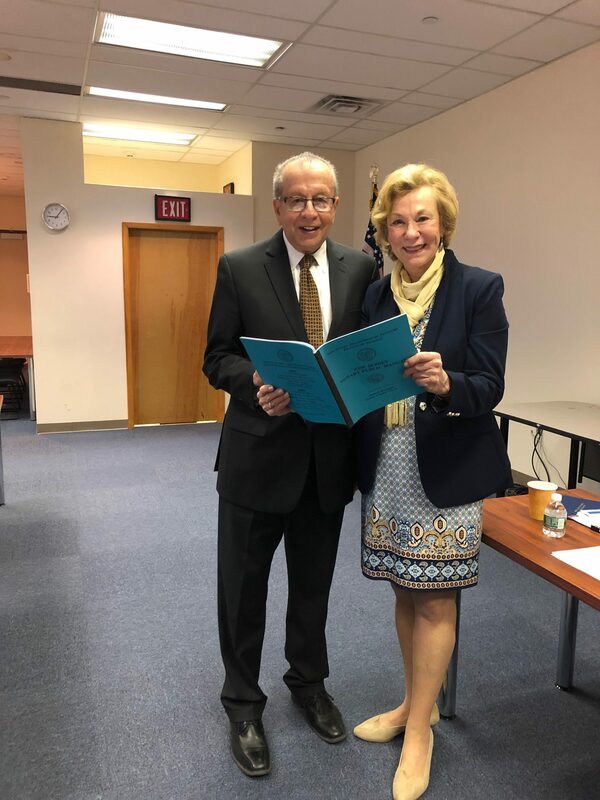 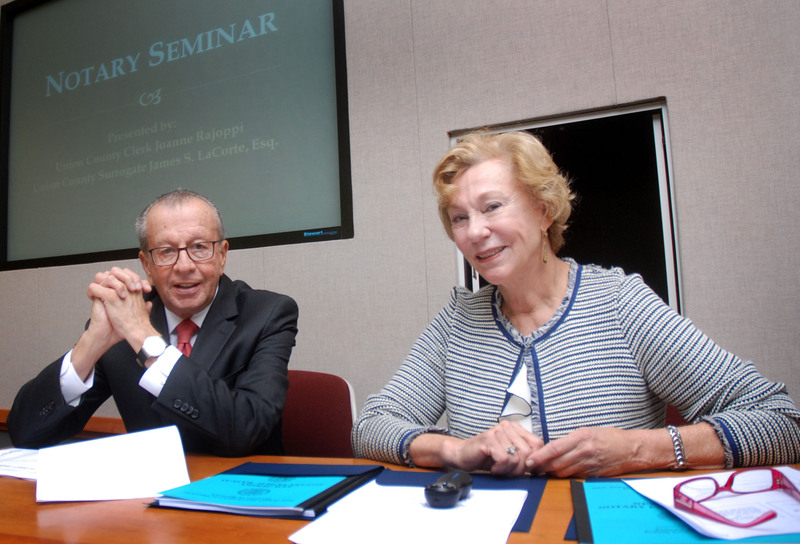 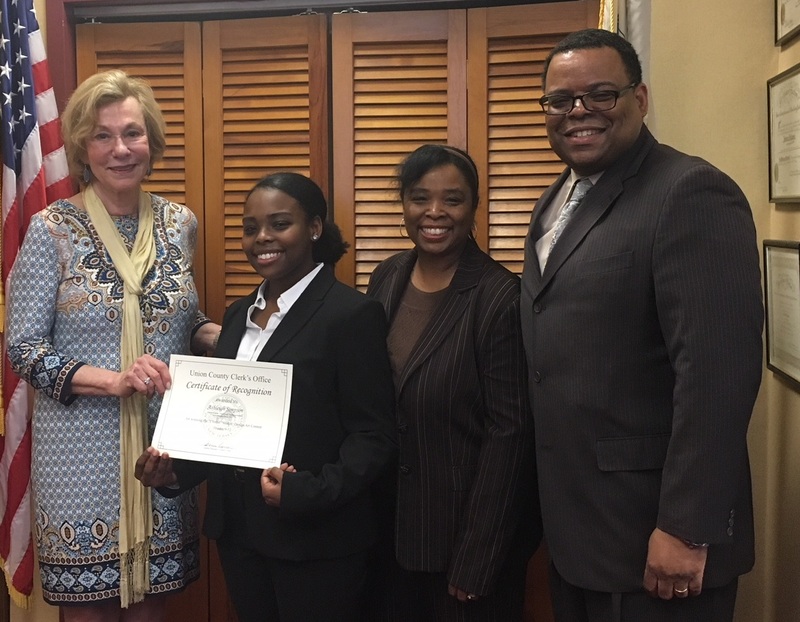 Union County Clerk Joanne Rajoppi hosted an educational seminar open to all Notaries Public featuring Union County Surrogate James S. LaCorte, Esq. 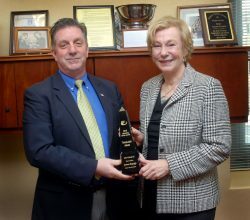 as the main speaker at the John H. Stamler Police Academy in Scotch Plains. 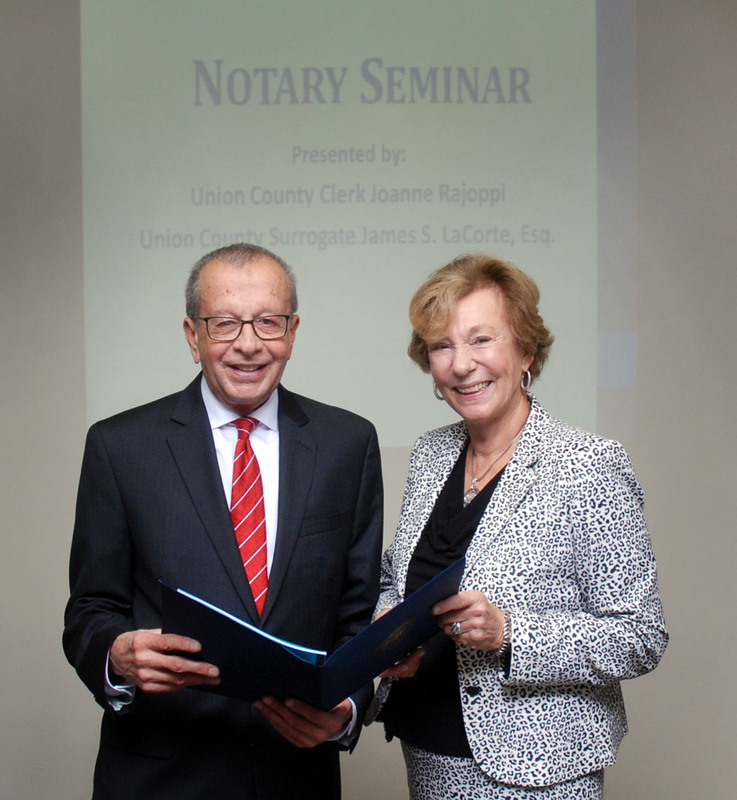 The Notary Public course is a service being offered by the Office of the Union County Clerk. 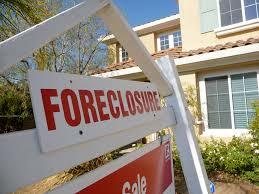 It is designed to instruct Notaries Public on how to perform their duties with confidence and diligence. 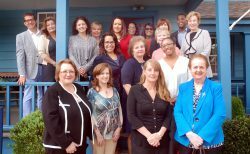 Notaries will learn about the new online application process and the legal aspects of performing the duties of a Notary Public in an effort to avoid liability issues. 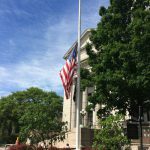 In honor of National Flag Day, Union County Clerk Joanne Rajoppi reminds residents that torn or tattered American flags may be dropped off at her offices in Elizabeth and Westfield for proper retirement. 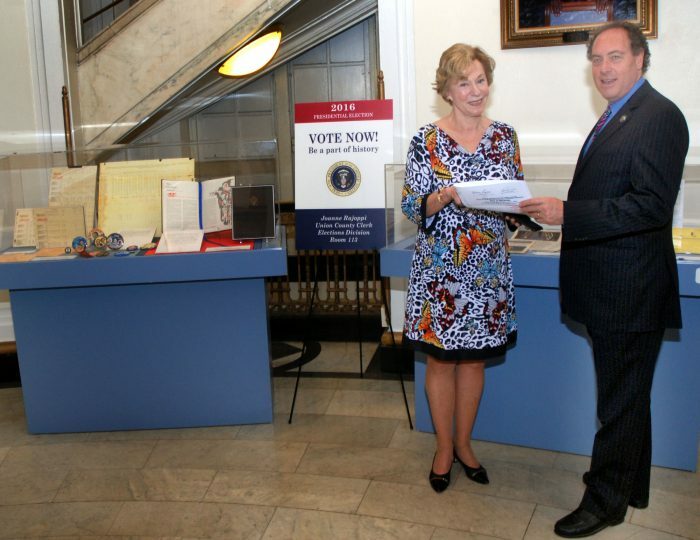 The exhibit includes campaign buttons, original newspaper clips and historic election results along with ballot memorabilia. 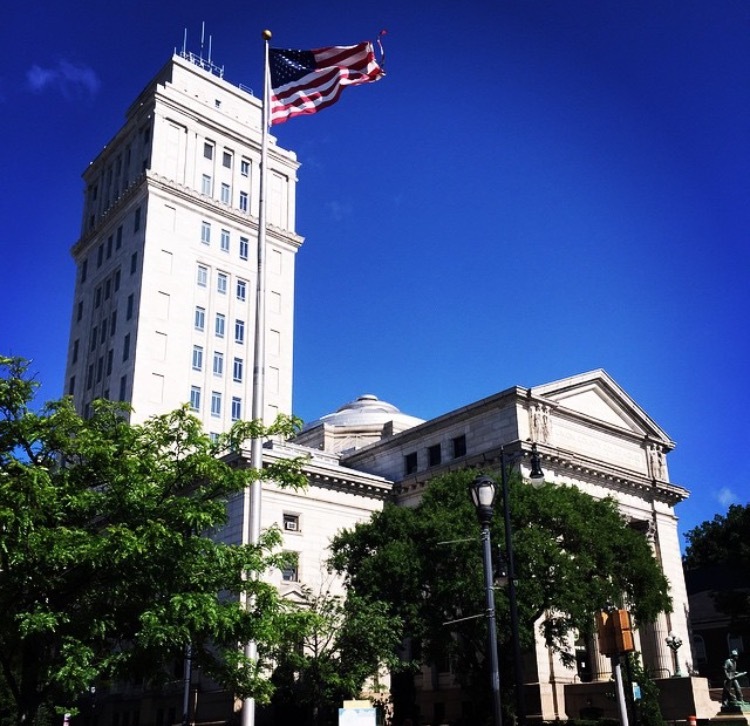 County Clerk Rajoppi invites members of the public to visit the historic Courthouse Rotunda from now until November. 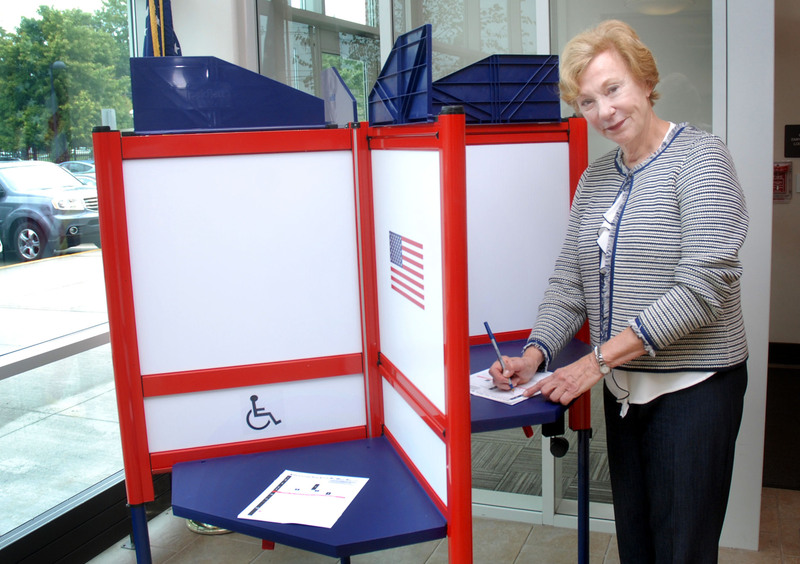 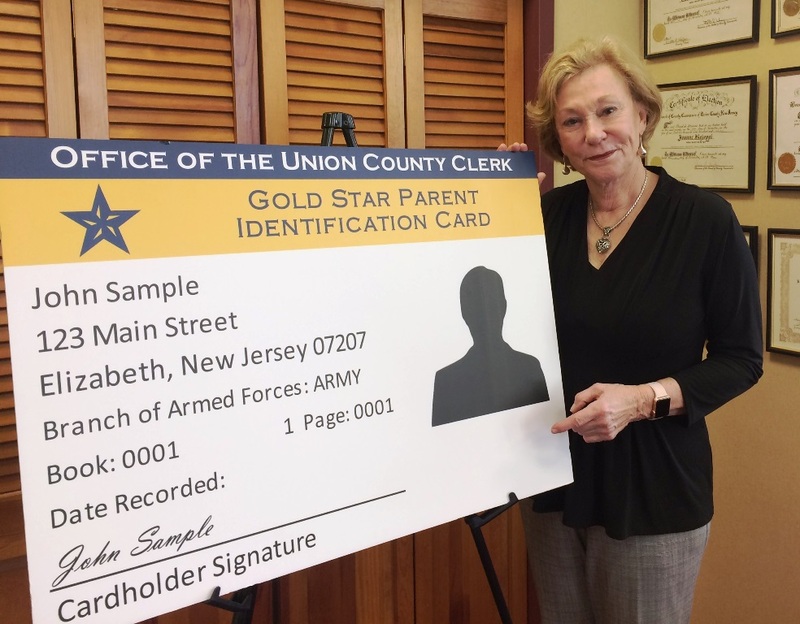 Union County Clerk Joanne Rajoppi reminds Union County residents that her Main Office in Elizabeth has scheduled a special opening on Saturday, June 4 from 9:00 a.m. to 1:00 p.m. for anyone wishing to obtain a Vote-By-Mail ballot in person. 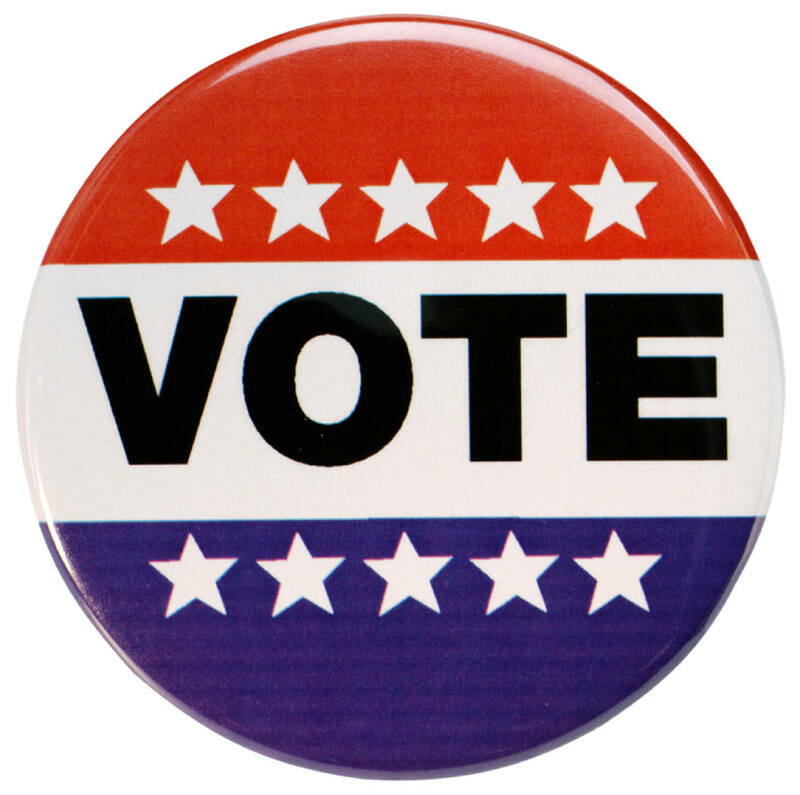 The Annex Office in Westfield is also open from 9:00 a.m. to 1:00 p.m. for anyone wishing to obtain a Vote by Mail Ballot. 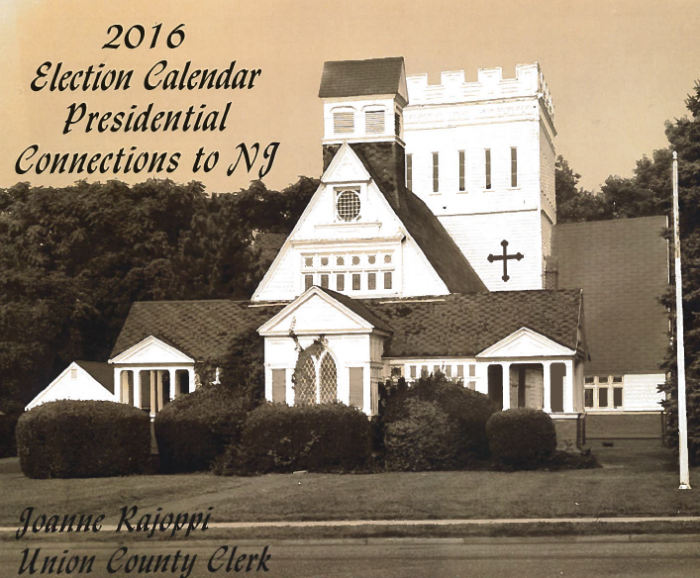 Union County Clerk Joanne Rajoppi invites members of the public to visit the historic Courthouse Rotunda from now until November, to view a new exhibit of unique presidential campaign memorabilia from years past. Union County Clerk Joanne Rajoppi welcomes members of the Union County Municipal Clerks Association at the County Clerk’s annual appreciation luncheon in honor of Municipal Clerks Week. 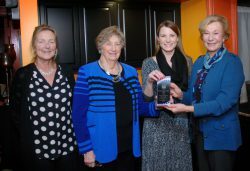 This year’s luncheon was held at Liberty Hall Museum in Union. 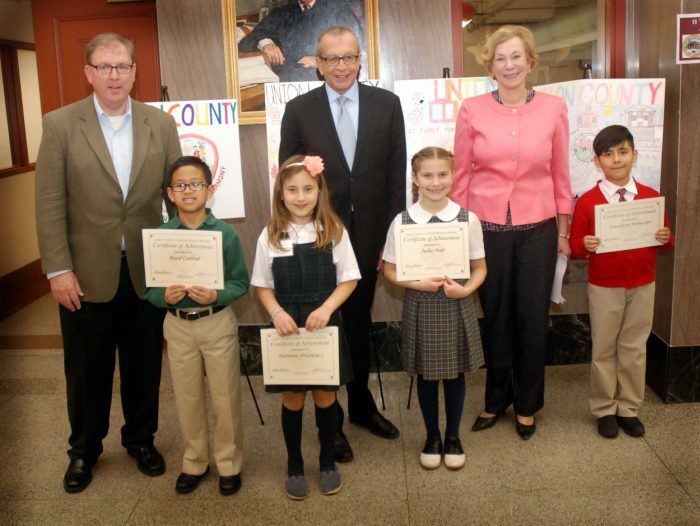 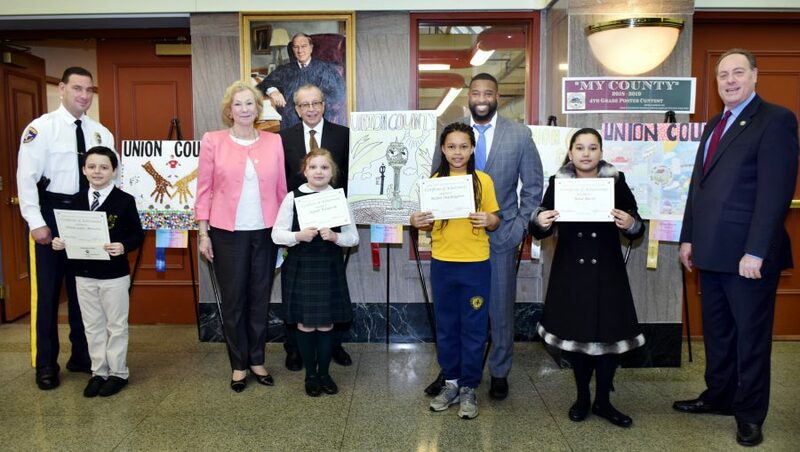 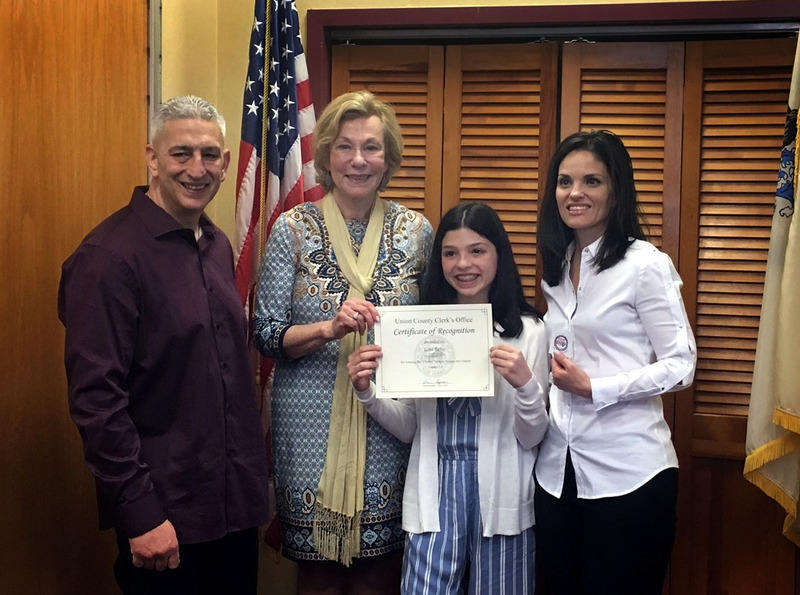 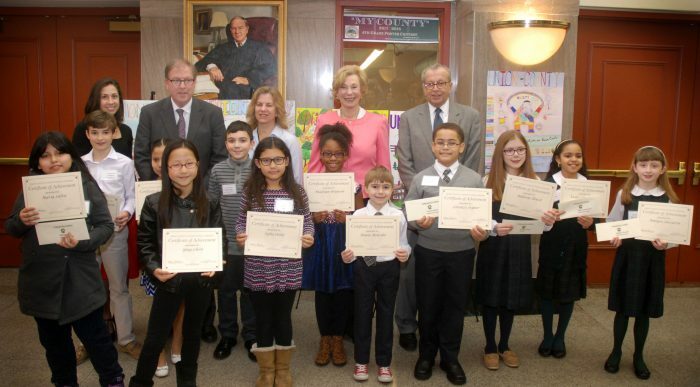 More than 200 fourth grade students from schools entered the contest. 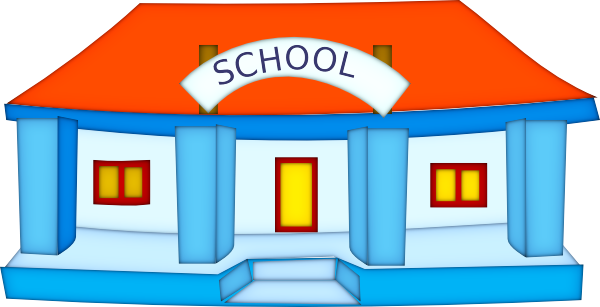 Many digital systems lack paper backups, study says.